There are a lot of them. I picked my short list mostly based on party identification: Green, COPE and Vision plus a couple of independents. I did not expect the reaction that got on Twitter and Facebook. Last night I had no light fiction reading to while away the small hours so I read the Vancouver Voters’ Guide which has the candidates’ statements and is the next best thing. We picked that up yesterday at the Community Centre. Apparently reading printed paper is supposed to be more soporific than a lighted screen. If you want to you can read the same stuff online – in fact if you are going to vote I think you probably should. There are lots to choose from and these profiles at least will help you narrow down your own list. The city has simply copied what they wrote – and some are barely literate. Others just spout their party’s line. One or two are well over the line – and a depressing number of mayoral and council candidates seem to have little understanding of what the City Council actually does. Parks and School Board candidates are generally better at that. Somehow she managed to get a much longer entry than anyone else. Most of it as incomprehensible as that quote. I cannot imagine a Council Meeting if she were to command the floor. 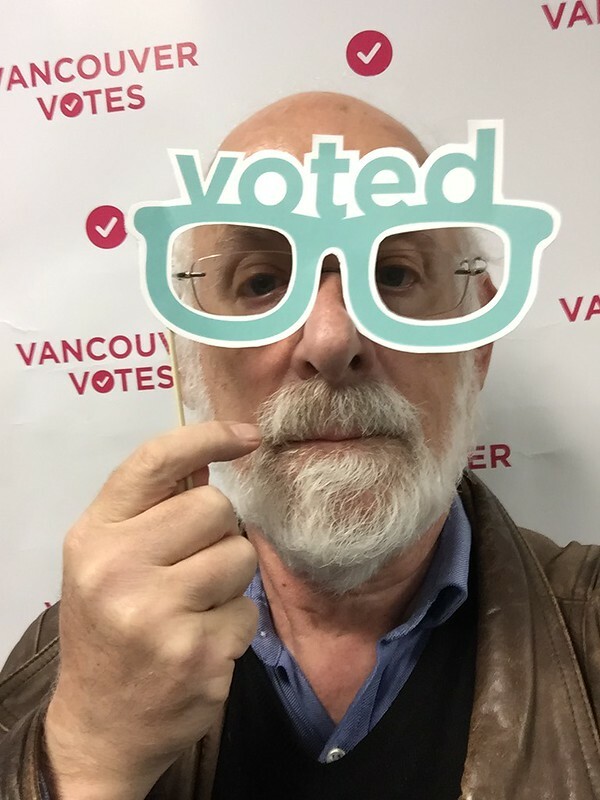 I would also suggest you make your list early and take it to one of the advance voting places (community centres or City Hall) to avoid the lineups that will bedevil election day. I would also suggest you look at the very short entry for Ken Denike who thinks he is entitled to continue his reign at the School Board largely on his conviction that you will already know all about him. Of course if you vote NPA or BC Liberal you already do, so why are you reading this?